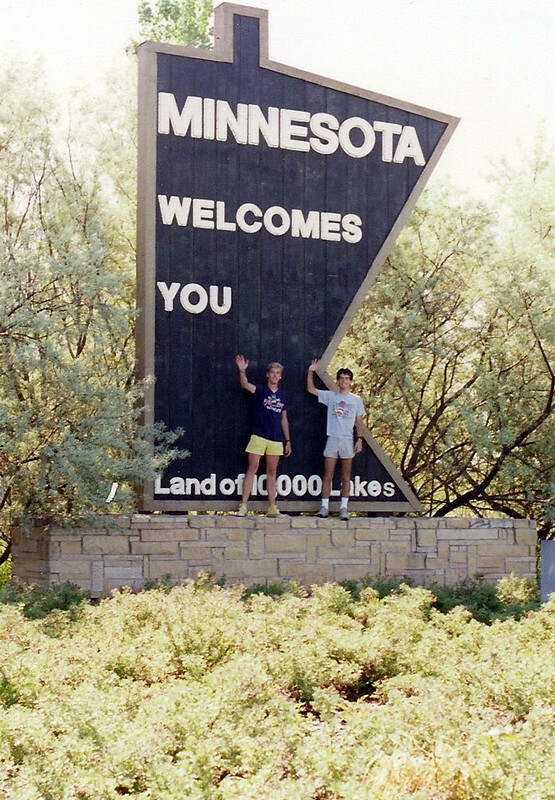 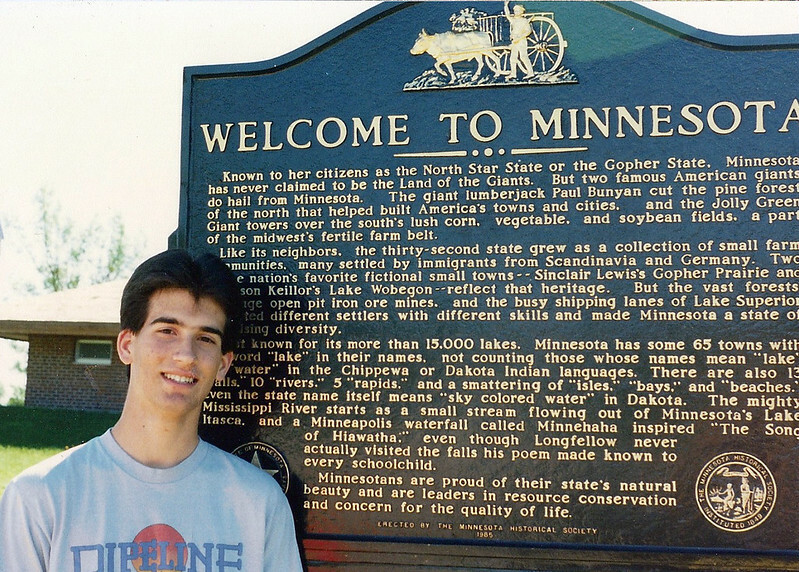 Chris and Sean feel welcome in the "Land of 10,000 Lakes". 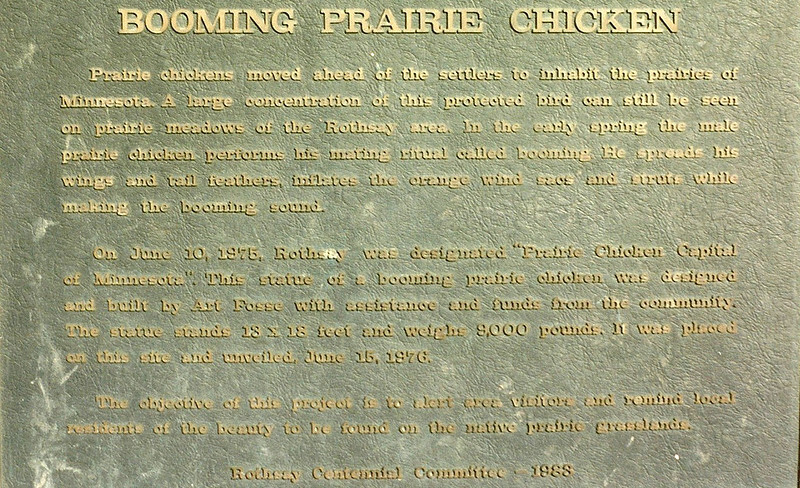 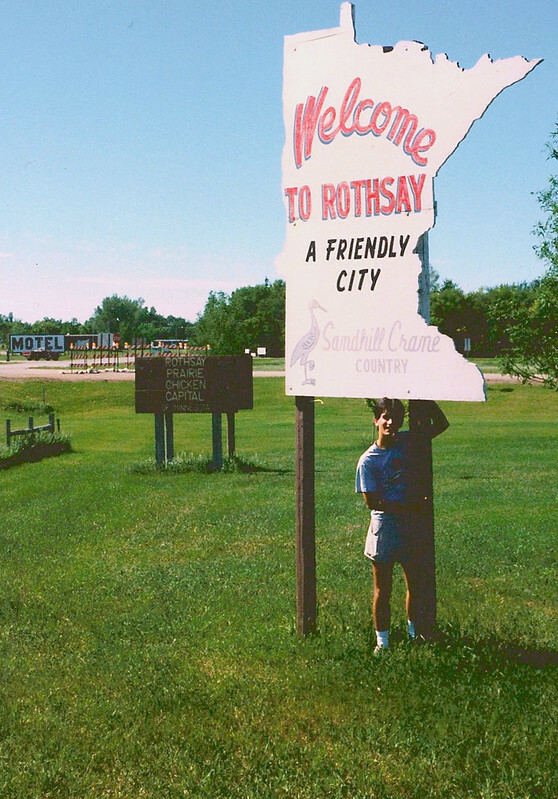 We have entered Sandhill Crane country in Rothsay, Minnesota, also the Prairie Chicken capital of Minnesota. 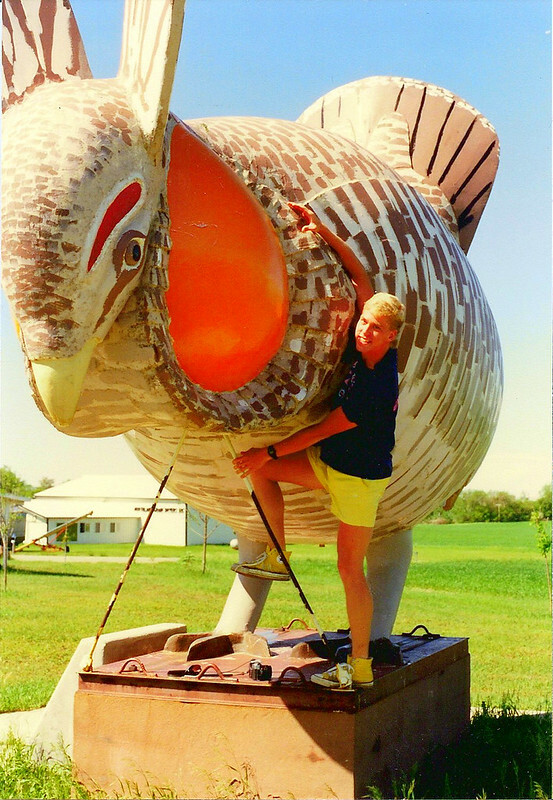 Chris attempts to ward off the huge prairie chicken that is pecking at his friend, Sean. 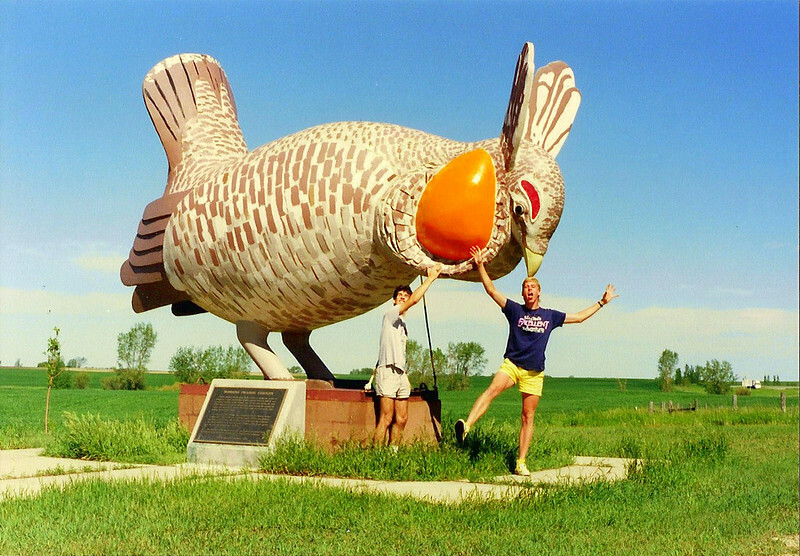 Sean forgives the world's largest prairie chicken for pecking his head.